The Aperfield Montessori Diploma in Early Childhood Education is unique. It is written by New Zealanders, with New Zealand content and fully administered in New Zealand. There are five courses, each with a study guide: Book One to Five. The Diploma is primarily Montessori training/a qualification for ECE trained teachers or interested parents, living in New Zealand. Our vision is to prepare Aperfield Montessori teachers to take their place in Early Childhood Education - enabling the Montessori philosophy to play a key role in the enrichment of our educational community. Please Note: From February 1st 2018, this Diploma will be replaced by our new 'New Zealand Diploma in Early Childhood Education and Care (Level 5)'. Montessori Education is based on a lifetime of observation and study by Dr Maria Montessori. She believed each child is born with a unique potential to be revealed, rather than as a 'blank slate' waiting to be written upon. She also revealed the true nature of how children develop and learn; meeting their needs by providing activities, opportunities and supportive environments. The basic tenet of Montessori education is that a child learns best in an enriched environment - through exploration, discovery, and creativity, with the guidance and encouragement of trained, caring staff. The Aperfield Montessori Diploma will be finishing on the 9th December 2019. The new Montessori qualification will be delivered by Te Rito Maioha and enrolments are open now. Students completing this programme will gain the qualification of New Zealand Diploma in Early Childhood Education and Care (Level 5) – Te Tohu Pōkairua Mātauranga Kōhungahunga Manaaki (Level 5) (the Diploma). This programme has been designed for a wide range of students, including qualified early childhood and primary teachers, unqualified teachers, parents, carers, psychologists and other interested professionals wanting to train in the Aperfield Montessori Method. Students who graduate with the Diploma may be able to progress to a Level 7 ECE initial teacher education programme if they meet the entry criteria. If you are a degree-qualified ECE teacher, you may be eligible for credit of prior learning, which would reduce the programme to six months. This means that if you successfully complete the programme, you will be awarded the Diploma after six months. If you wish to apply for the Diploma, you can do so through this link. If you would like more information go to Te Rito Maioha’s website. Re-enrolment (for existing students) is open for Book Two, Three and Four. Re-enrolments for Book Five: the Ministerial Module 'Aspirations for the Child and Teacher'. Please Note: Students have until December 9th, 2019 to complete the current Diploma; including all Assignments, Practical Workshops, the Ministerial Module, Practical and Oral Assessments. 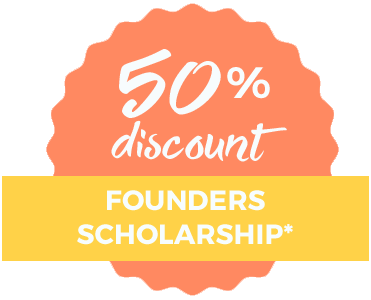 If you would like to take advantage of this offer, please complete the Founders Scholarship application form. Please go to our Downloads page to view the latest Prospectus, Re-Enrolment and Scholarships forms, plus Fees and Eligibility information.